Facebook (Nasdaq: FB) Steals PayPal President; Is Facebook Payments Next? 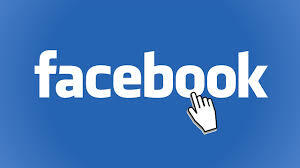 Subject: Facebook (Nasdaq: FB) Steals PayPal President; Is Facebook Payments Next? 8 × = forty eight Required Please enter the correct value. Of all the problems plaguing Facebook Inc. (Nasdaq: FB), rival messaging services is a big one. In a move aimed at tackling that growing issue, the world's largest social media company announced Monday it has hired PayPal executive David Marcus. Marcus will join Facebook on June 27. He has been tapped to run Facebook Messenger, a stand-alone app and prominent feature within Facebook's platform. He won't, however, oversee WhatsApp, the popular mobile messaging service Facebook acquired in February for a whopping $19 billion. According to Facebook Founder and Chief Executive Officer Mark Zuckerberg, the two messaging apps differ in the way they are used to communicate. Facebook Messenger is generally used by people to stay in touch with those who may not expect an immediate response. WhatsApp, meanwhile, is used for more instantaneous back-and-forth dialogue. The high-profile hire of Marcus shows how committed Facebook is to becoming a leader in mobile messaging – a crucial part of its goal to connect the world via its platform. "Messaging is a core part of Facebook's service and key to achieving our mission of making the world more open and connected," Facebook said in a statement announcing Marcus' new role. Facebook claims some 12 billion messages are sent through its messenger service daily and that around 200 million people use it every month. Yet, that latter and key figure lags compared to other popular global services. WeChat has nearly 400 million monthly users, and Line boasts nearly 300 million monthly users. Marcus boasts an impressive resume. He joined eBay Inc.'s (Nasdaq: EBAY) PayPal unit in 2011 when it acquired his mobile payments startup Zong, which he founded in 2008. Prior to that, Marcus was at Echovox, a mobile monetization startup for media companies. In a message posted on Facebook and the professional networking site LinkedIn Corp. (NYSE: LNKD), Marcus said his role at PayPal was becoming too much of a management position. Indeed, he was supervising 14,000 employees. Marcus said he preferred to focus on building products. "I realized that my role was becoming a real management one, vs. my passion of building products that hopefully matter to a lot of people," he wrote. "At first, I didn't know whether another big company gig was a good thing for me, but Mark's (Zuckerberg) enthusiasm, and the unparalleled reach and consumer engagement of the Facebook platform ultimately won me over." In his three years at PayPal, Marcus was instrumental in turning over the online payment service into a behemoth that processed $180 billion transactions in 2013 alone and accounted for 41% of eBay's revenue. Which raises the question: Why did Facebook really hire Marcus? Could Facebook be looking to launch its own e-payment service?